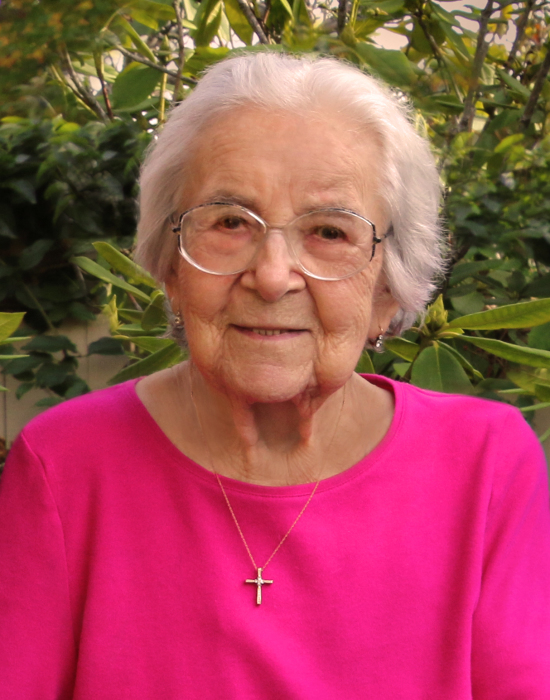 Silva M Seda, aged 95 died peacefully in her sleep at Park Lane, Monterey on February 2, 2019. She was born on April 4, 1923 in Moravia, Czechoslovakia to Zdenek Stancl and Maria Romerova. Silva was the beloved wife of Alois Seda who died in 1999. She had a very dramatic life, full of adventures, high points, and difficult times. She met Alois (a dashing war hero) when she was actually engaged. After a whirlwind romance, they married in 1946 in Uherske Hradiste, Czechoslovakia. As Alois was a national hero and an ardent anti-communist, they had to escape for their lives in 1948 when the communists took over the government. Their escapes were the stuff of action movies. They lived in Germany for a time while Alois operated a spy network in for the Allies, saving many lives. When they immigrated to America, the refugee ship was terribly storm tossed and the hull cracked necessitating a stop in New York instead of its intended New Orleans. Silva was in the ship hospital the entire time with terrible seasickness. Their landing in New York shaped the rest of their lives. They soon came to Pacific Grove where Alois taught at the Defense Language institute for many years. Silva was an equal partner in the care and support of the household. She took whatever jobs she needed to in order to help provide – house cleaning, cooking, and eventually a professional job. She eventually retired as a supervisor for the Payroll Data Processing Center at Fort Ord. Silva had studied pharmacology in Czechoslovakia and received an AS degree in Computer Science from MPC. She and Alois insisted on college degrees for their 4 children. Silva also was a wonderful cook, always entertaining guests with wonderful Czech food. Members of the Czech community often gathered at the house where delicious food was a center focus. In accordance with Czech tradition she baked hundreds of varied cookies at Christmas. She was also an avid whale watcher going to the shore often during the whale migration. Silva and Alois loved the outdoors and traveled to parks often with their children, Big Sur being a favorite. Silva was a prolific knitter and made many items for her grandchildren. She adored her grandchildren and was always asking about their progress and looking forward to visits. She also loved her children's spouses, completely welcoming them and making them a part of the family. After Alois' retirement they moved to a new home in Corralitos where she had over 70 rose bushes. Silva loved her flowers, especially roses and she always had a small bouquet on her dining table in Corralitos. She also excelled at growing beautiful orchids. After her husband's death she returned to the Peninsula and lived at Hacienda Carmel until her health began to fail. Her final time was spent at Park Lane under their wonderful, loving care. Silva also was a volunteer at Watsonville Hospital, a member of the Corralitos Garden Club, and the Carmel Foundation.